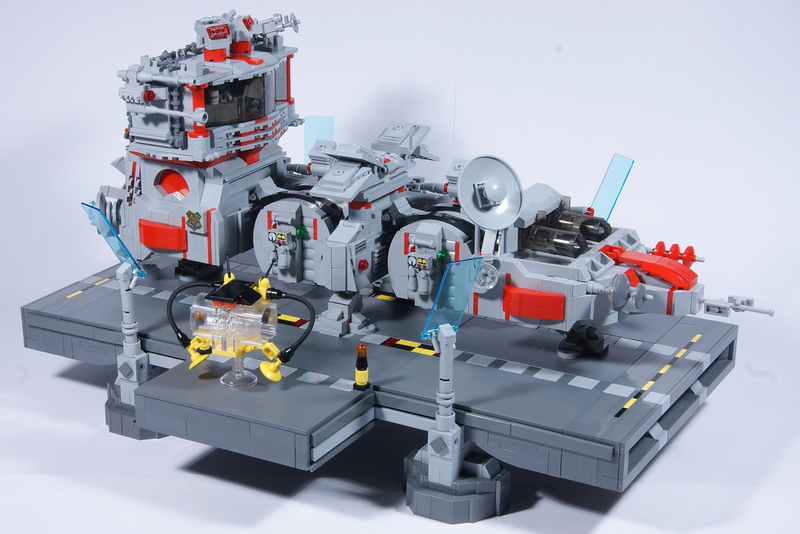 It's not very often we see a minifigure scale cargo ship (why is that?) but here's a fine example from SweStar . There's loads of detail here, and the base/landing pad is really nice too. I dig that little service robot.